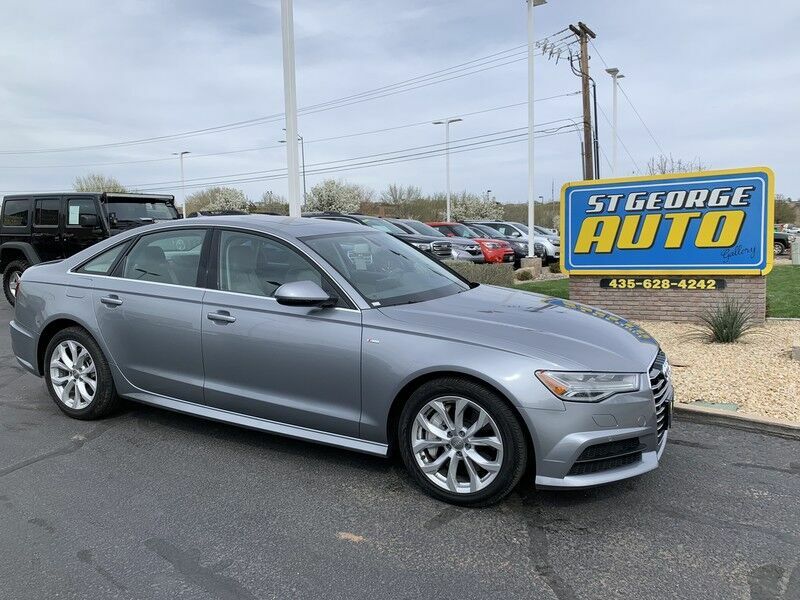 ST. GEORGE AUTO has a wide selection of exceptional pre-owned vehicles to choose from, including this 2018 Audi A6. This Audi A6 Premium Plus's level of quality is not meant for just anyone. It's meant for the person who strives for a classy, comfortable, and luxurious car. Stylish and fuel efficient. It's the perfect vehicle for keeping your fuel costs down and your driving enjoying up. Enjoy the comfort and safety of this AWD Audi A6 Premium Plus equipped with many standard features found on other vehicles as optional equipment. There is no reason why you shouldn't buy this Audi A6 Premium Plus. It is incomparable for the price and quality.